Hudson's sorry to go, but knows that he's leaving his projects in good hands. 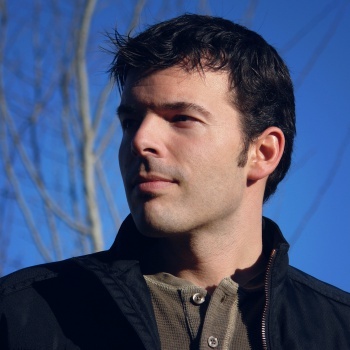 "This is without a doubt the most difficult decision of my career," says executive producer Casey Hudson, as he announces his departure. "BioWare is as magical a place today as it was when I started." Magical or not, he feels it's time to go, and while there's much talk of 'a new set of challenges' there's no word on what Hudson might be up to next. Hudson started as a technical artist on Neverwinter Nights, before moving on to Star Wars: Knights of the Old Republic. Soon after his triumph there, he led the team that made the Mass Effect trilogy. He's one of BioWare's old guard, having joined not long after the company was created in 1995, and sticking with it through the acquisition by Electronic Arts in 2007. Not that long ago the two co-founders left the company, after 17 years with BioWare; Hudson's departure must be a bitter pill for the developer to swallow. The last time we heard anything from Hudson, he was Tweeting about a mysterious new IP which the core team behind KOTOR was supposed to be working on. He doesn't say much about that IP in his departure message, except that "the foundation of our new IP in Edmonton is complete" and the team's about to move into pre-production. Hudson's last message is to the fans. "Having led the development of four major titles, I'm profoundly appreciative of the role I've been able to play in creating these games," he says. "The very idea that so many of you have enjoyed spending time in the worlds we've created is the defining achievement of my career, and it's your support over the years that made it all possible.